The over-7,000km2-long Silk Road is a significant symbol of the powerful civilization of East Asia and Central Asia in the ancient time. Silk product was not only one of the important luxury goods for trade, but also an effective way for diplomacy, which made great contribution to the communication of trade, technology and culture between the ancient China and the western area. 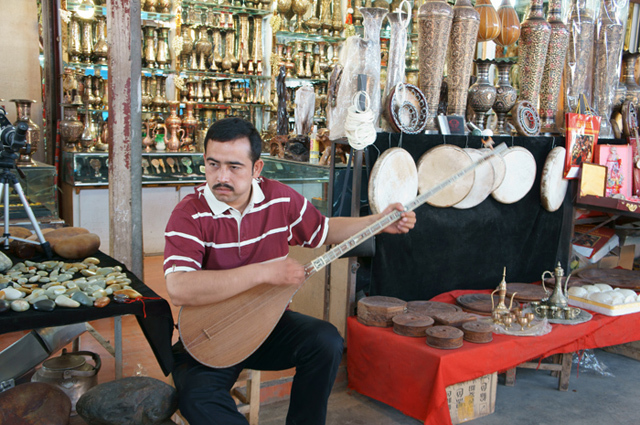 As a channel for ancient Chinese to know about the outside world and learn the advanced culture, Silk Road offered a good chance to transmit many artistic influences, especially through Central Asia where Hellenistic, Iranian, Indian and Chinese arts could intermix. The transmission of culture, including literary, science, medicine, religion and custom, played an important role in the development of ancient China and western nations. For example, the art of dance and music of Central Asia and India has an important effect on the ancient China, especially the western minority, whose images can be seen on the wares, murals, terra cottas, paintings, sculptures, etc. Moreover, these artistic influences can be seen in the development of Buddhism where for instance, Buddha was first depicted as human in the Kushan period. The mixture of Greek and Indian elements can be found in later Buddhist art in China and throughout countries on the Silk Road. Greco-Buddhist art represents one of the most vivid examples of this interaction. The culture and custom in ancient China were deeply influenced by Buddhism, Zoroastrianism, Manichaeism and other religions. Nowadays, we can still catch a glimpse of the prosperity of cultural communion from the temples, cave murals, statues, cultural relics, historical ruins, etc. 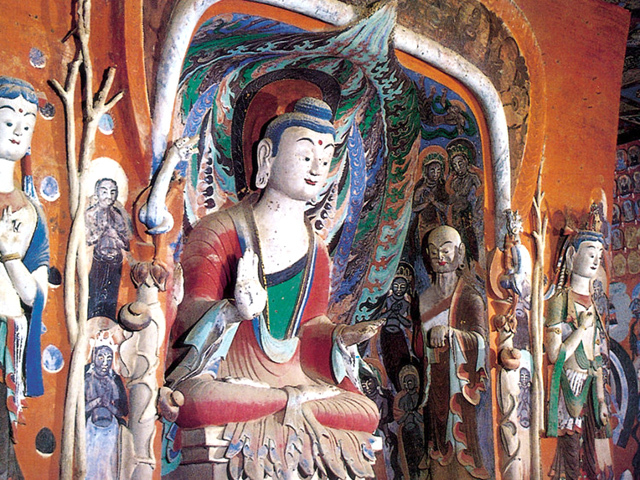 As a representative classical work of Chinese Buddhism with rich theory of Buddhism and philosophical thought, Diamond Sutra, the oldest book printed in Tang Dynasty, has been discovered in Dunhuang, which was once an important hub in Silk Road and houses the world-famous Mogao Grottoes. It is the first work of papermaking and engraving typography, which was invented by ancient China and disseminated to Central Asia via Silk Road. In 13th century, a number of European tourists traveled along the Silk Road visiting China and brought the technologies back to Europe and the first Bible was printed by Gutenberg in 15th century. Karez irrigationTechnology is also a sign of wisdom the people inhabited in the western and central of Asia, which was almost covered by deserts and lacked of water. So the snowmelt from Mount Tianshan and Mount Kunlun became one of the important water supplies, but it was not easy to collect the snowmelt for living. Therefore, Karez, a specific irrigation system, was created and used in the western area, and widely spread by the stationed troops of Han Dynasty, so was well drainage technology. Silk was a representative of art, since silk was not only used as currency for trade along Silk Road but also considered as a religious symbol. In addition to the silk product of the ancient China, lapis lazuli of Afghanistan, representing the wealth of the nations in Mesopotamia, also widely spread over the Eurasian continent through Silk Road and was worshiped as one of the seven treasures of Buddhism in India. Agricultural products, like purple, walnut, carrot and cucumber, added more options to the diet of East Asian people. Luxury goods, for instance, ironware, mirror, silverware, were exported to the western area from ancient China, while imports included rare animals and plants, spice, jewels, etc.